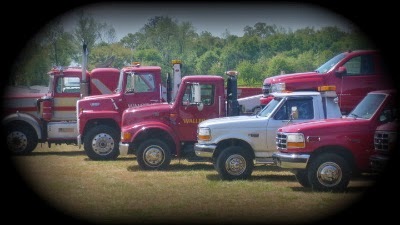 At Waller's Wrecker Service, we specialize in moving what others can't. We are equipped for heavy duty towing including commercial sized vehicles. We transport motor vehicles to other locations and relocate those that are no longer drivable. Typical towing services are provided for breakdowns or collisions. We also have a full service storage facility to keep vehicles locked in a safe environment. Waller's Wrecker Service is open 24 hours. Call us at 252-746-7463. Waller's Wrecker Service 2014 . Simple theme. Powered by Blogger.